The conference will be addressed by H.E. Hala El-Said, Minister of Planning, Monitoring and Administrative Reform of Egypt. The Euro-Mediterranean Network for Economic Studies (EMNES) is a network of partners and associates research institutions and think tanks working on socio-economics in the Euro-Mediterranean. 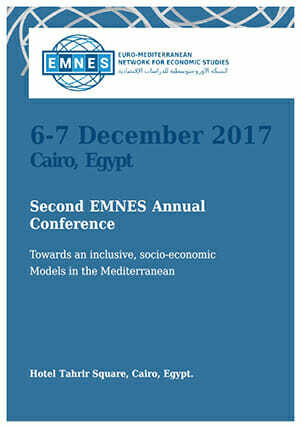 EMNES new vision stems from the quest for economic policy solutions aiming at more inclusive, sustainable and employment driven socio-economic development in the region.